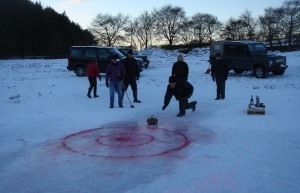 The ownership of St Fort Estate has been handed down through the family since 1791 when Robert Stewart purchased the property and built St Fort House. 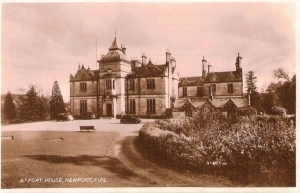 In 1957 the house was demolished having fallen into disrepair. However, the policy park, many of the cottages, farm buildings, walls and woodlands remain very much as they were when laid out in the late 18th and early 19th Century. Andrew Mylius took over the farm from his mother in 1960 and now runs it in partnership with his wife Hilary and son Caspar. 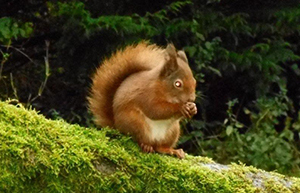 The 1200 acres at St Fort are split roughly between forestry, arable land and grass. Cereals are grown for malting and for home grown animal feed and the pastures are grazed by herds of Aberdeen Angus and Lincoln Red Cattle. 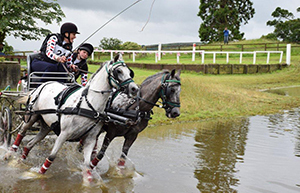 Highland ponies, Fell ponies and Arabian horses also feature in life at St Fort. The St Fort herd was started by Andrew Mylius in 1963. A ‘golden age’ was enjoyed during the 1970′s with 171 females in the herd and many Championships won at major shows. Cattle were exported to Argentina and Canada. The St Fort herd remains prominent in the Lincoln Red Society. The present herd is made up of 20 Native cows, 60 Pedigree cows and their followers. 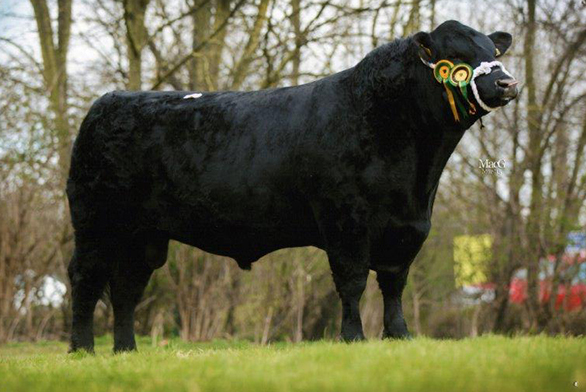 Beverley Noble will remain as our principal stock bull for 2016 and he will be joined by the young Native bull St Fort Squire. Sired by Norton Beau and with Brooks Thora 119th as his Grand-dam he has exceptional genes on both sides of his breeding. His daily liveweight gain to 400 days was 1.76kg. Breeding heifers and bulls are usually for sale. 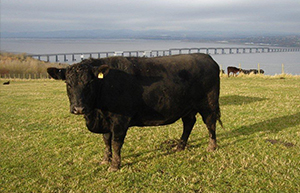 The Aberdeen Angus breed needs no introduction. 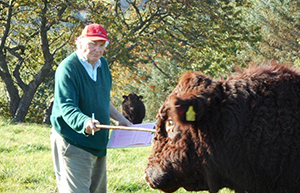 The breed has become synonymous with top quality cattle and the meat they produce. 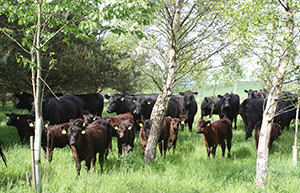 It therefore seemed natural that, when we decided to run another herd alongside the Lincoln Reds we chose Scotland’s premier breed, the Aberdeen Angus. At present we have 60 Aberdeen Angus cows and their followers. Netherton Keystone and Hurdcott Elgar being prominent sires amongst these cows. The present stock bulls are Rawburn Picasso and Wedderlie Fantastic. Rawburn Picasso, sire, Ardrossan Admiral dam Rawburn Paula, was purchased from John Elliot in 2012. 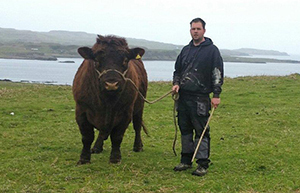 He has proved himself to be easy calving while producing top quality progeny. Wedderlie Fantastic, sire Wedderlie Kansas dam Wedderlie Favourite, was purchased at the February Stirling Bull sales in 2015. At 31 months he was placed 1st in the senior bull class. We are looking forward to the arrival of his calves this spring. 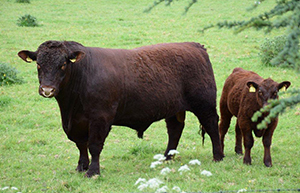 Breeding bulls and heifers are sold privately or through pedigree sales while the remaining bull calves are finished alongside the Lincoln Reds at between 11 and 14 months. The St Fort herds enjoyed a successful year in 2015. The year started with the English Premier Show and Sale held at Newark Notts. In the Aberdeen Angus showing section the Male Championship was awarded to St Fort Poldark and the Female Championship to St Fort Etrilla. The Lincoln Red Bulls, St Fort Stirling, St Fort Sussex and St Fort Sovereign were all 2nd in their respective classes and the heifer St Fort Hetty was made Lincoln Red female Champion. They all achieved good prices in the ring with very satisfied buyers. The high spot of the showing season was at the Great Yorkshire Show where we watched St Fort Rolex, now owned by Chris Page, made overall Champion of the Lincoln Red section and going on to be awarded Reserve Champion of the overall beef section of all continental and native beef breeds. The 2016 season again starts with a trip to Newark with a selection of young bulls both Aberdeen Angus and Lincoln Red. 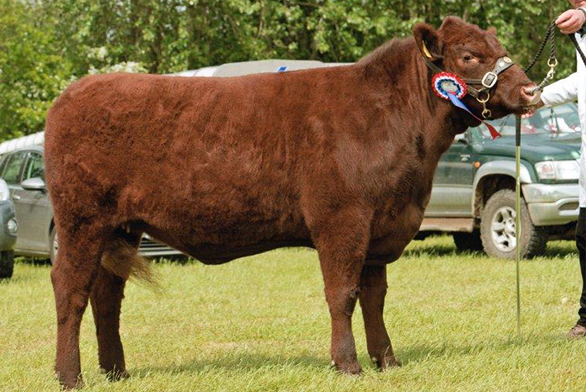 Our senior Lincoln Red bull Wragby Minstrel is also entered for the sale. 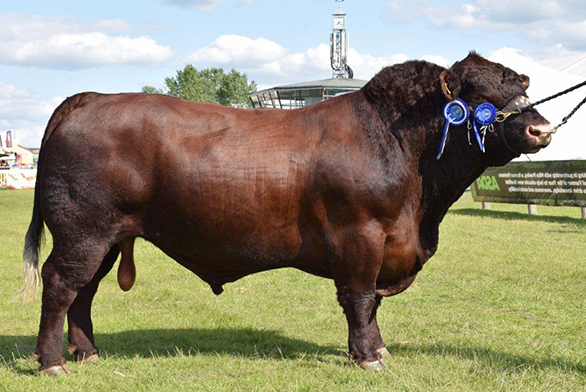 Now rising 6 years old Minstrel has been a tremendous asset to St Fort producing a number of outstanding bulls including St Fort Tyler who in 2015, followed in his fathers foot steps to be made Junior Male Champion at the Great Yorkshire Show. 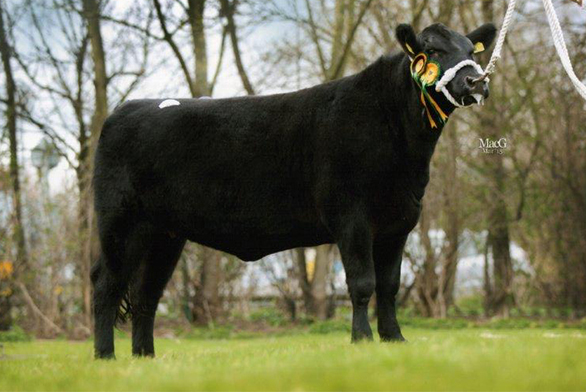 A draft of Aberdeen Angus heifers and two Aberdeen Angus bulls, St Fort Empire by Netherton Keystone and St Fort Paymaster by Rawburn Picasso are also entered for Newark. 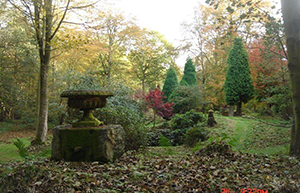 A visit by Andrew Mylius, in 2000 to the famous gardens at Brantwood on Lake Coniston was the inspiration for creating the woodland garden at Northwood Cottage, St Fort. The mature trees provide a wonderful backdrop for the many specimen Rhodedendrons and ornamental trees planted from this time. 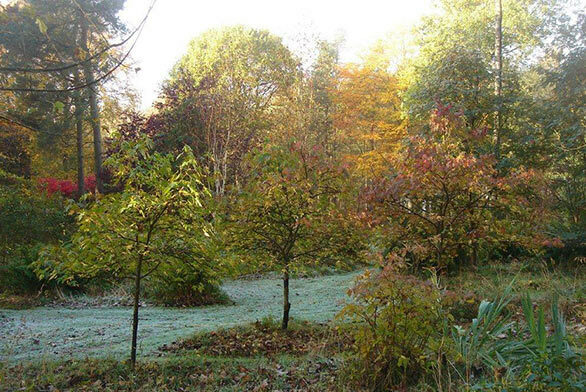 Lawns and meandering woodland paths make a visit to the 4 acre garden an enjoyable experience at all times of the year. The garden is open by appointment and is also part of ‘Scotlands Open Garden Scheme’.